Author: Mackay, Scott Set In . . . Outer Space, Earth's Orbit, Mars, North America, USA, Washington D.C. Ten years ago, they attacked. Launching hundreds of weapons platforms throughout the Earth’s solar system, the aliens used not fire or ordnance, but nanogens—biological warfare unlike anything humankind had ever known. Ultimately, the aliens were finally beaten back…but the dying had only begun. Now living in fortress cities, what is left of humanity hides from the remaining nanogens, while scientists like Alex Denyer work to deactivate the platforms left behind and try to find cures for the dying. When a new platform suddenly appears, Alex’s attempts to understand end with his being infected by a bio-weapon that will literally eat him alive. 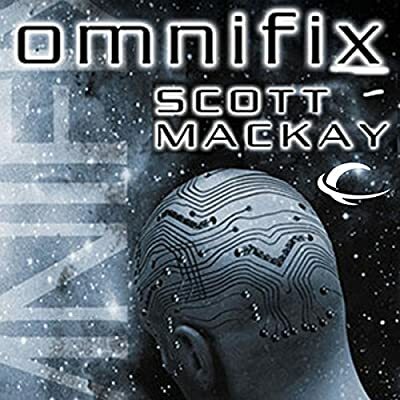 Hailed as “the breakout novel that will firmly establish him as a bona fide big name in 21st-century science fiction,” Scott Mackay’s Omnifix is “a terrific book, from first page to last: big ideas, believable characters, great action—it's all here" (Robert J. Sawyer, author of Hybrids).